On September 26, 2011 students assemble at Wheeler Hall at 7:00 PM in protest of the controversal Berkeley College Republicans "Increase Diversity Bake Sale". Shortly after assembling at Wheeler students begin moving towards the MLK building, passing through Sather Gate, and onwards to the Multicultural and Community Center. 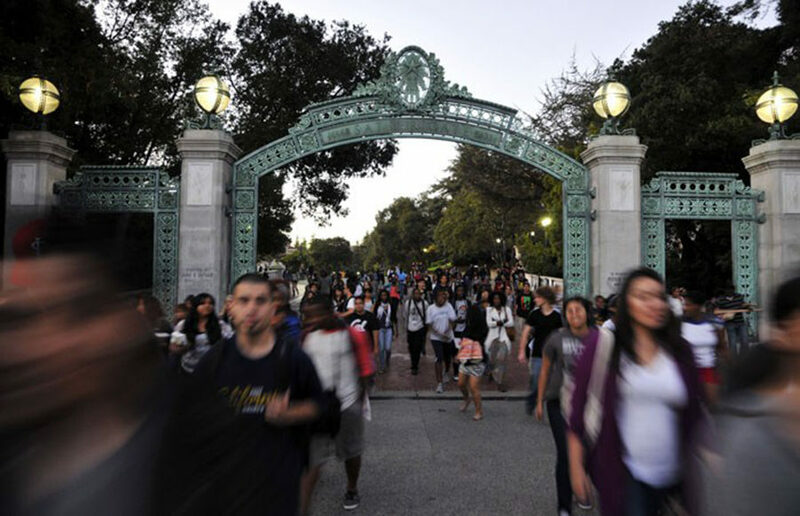 UC Berkeley is a tough school and we might not always feel as though we’re cut out for it. The constant challenges can seem like whispers to your subconscious that maybe you aren’t as smart as you thought you were. This leads to impostor syndrome — a belief that you don’t really deserve the praise and success you’ve received and that you actually just lucked into it. This mindset can make your college life miserable. Here are some tips to help avoid and deal with impostor syndrome. The best place to start is with a tip that directly combats impostor syndrome. The trick to this is to keep at it and turn it into a pattern and habit. What you are trying to do is fundamentally change how you think about your actions and make you think you have more agency and deserve the good in your life. A lot of school, or just structured activity in general, focuses on weaknesses and trying to remove them. However, this mindset seems to paint people as just their weaknesses and mistakes, and fails to focus on the strengths that allow them to achieve success. Look at your strengths as positives — that should shift the view to help show why you succeeded. This is a prestigious, highly selective school. Getting in here is a feat. So, if you did get in, that means somebody looked at your accomplishments and figured you’d do well here. Even if you have a hard time believing in yourself, remember that somebody in the admissions office believed in you. Don’t forget: UC Berkeley’s academics aren’t a walk in the park. This place is designed to challenge you and help you grow. It also challenges different people in different ways, so don’t compare yourself to how “relaxed” your friends seem. Remind yourself that it’s OK to struggle. Remember not to let yourself undercut your own achievements. You wouldn’t let someone tell you that you were undeserving of an award you worked very hard to achieve, so why let yourself do the same? Take your small victories and cherish them. They’ll take you far. Contact Zachariah Nash at [email protected] .